Most powerful gaming pc in the world. The $30,000 worth “8 Pack OrionX” looks like it just fabulous specification. This monstrous machine is composed of two diverse systems compactly packed inside a single Phanteks Enthoo Elite case which costs around 900$. This PC is powered by 10-core Intel i7-6950x processor. This which will cost you around $1,600. The secondary system runs on a more budget-friendly Intel Core i7-7700K processor. These chipsets powers several high-end systems. Ian “8Pack” Perry, is famous gaming computer builder and he is the mastermind behind this giant. He provided a components list for his extravagant project. He compiled a set of high-end computing modules to make his masterpiece thrilling at the cost. It is powered by four Nvidia GeForce Titan X graphics cards of $1,200 each. It has a total of 48GB of gaming memory which makes it as a giant tech machine. Because most of the laptops and notebooks today come’s with 8GB of overall memory, The 8Pack OrionX package comes with a 64GB of primary memory and another 16GB of DDR4. This two combination just makes it fabulous. It has got a single 1.2 TB Intel 750 solid-state hard drive and it has two 1TB Samsung Evo 850 SSDs. The second system’s storage options, It has got 512GB Samsung 960 SSDs and another 10TB of storage. Incase if you like to download the internet (LOL). Its cooling system is made for the hardware it possesses. It has got three specifically made liquid cooling loops keep everything inside at a reasonable temperature while at the super computer speed hahaha. And of course, there are many LED’s to make it look like a fire throwing monster. There are many other developers making a giant monster using high specs hardware. But anyway as a gamer you don’t need these much big beasts while playing games. Because no game in this world at present has a minimum configuration as above mentioned. 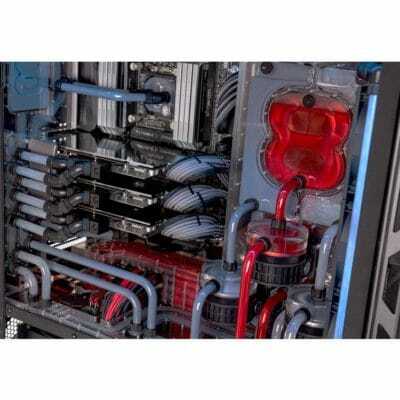 Here there is a list of Most powerful gaming pc in the world. This is all about Most powerful gaming pc in the world. And many more monster computers are coming soon. Stay updated by liking Facebook page and follow on twitter. please like and share if you like this article.